A free badge for a “good cause”. 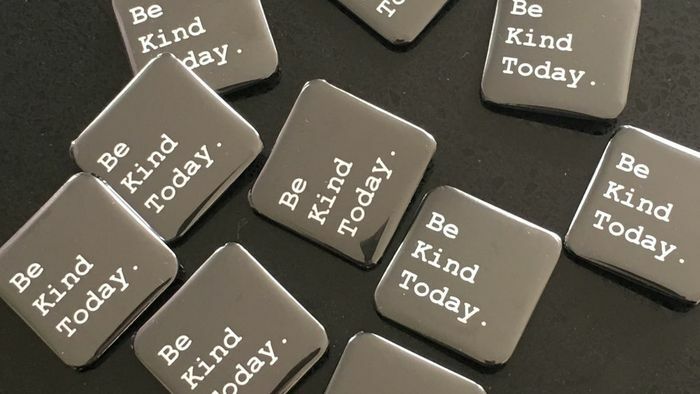 Be kind,and soread kindness Register for a free badge. you can also donate for the cause if you wish but mo obligation. I suppose thousands will have got a similar email and some will send a donation to help the "worthy cause" strange how there's no mention of what the "worthy cause" is and no registered charity number to be found anywhere. Did they mention what the worthy cause was in the email? Ordered yesterday and had confirmation it's been sent. I'm kind & go out of my way for others.. I always support charities, in Sheffield we have a local legend John Burkhill known as The Man With The Pram,he walks all over Sheffield & beyond,hail,rain,snow raising money for McMillan..
What exactly is the good cause? I can find no trace of this being a registered charity. ordered a few and am already thinking to whom will i give them! weeeee love the wee saying! just ordered 3 for me and my daughters, thank you.